Tropical Island Paradise is another amazing project from Yacht Island Design. 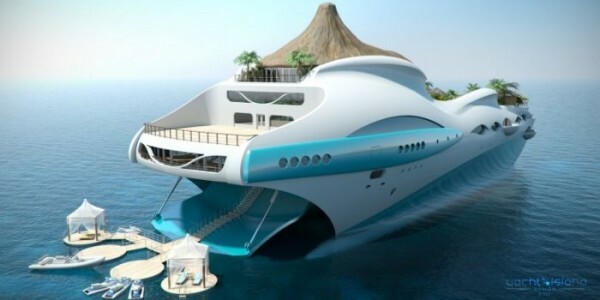 It?s an island on a 295 ft (90 m) long luxury yacht equipped with swimming pool, tropical plants and even a small waterfall. The yacht-island can travel at a speed of 15 knots and has VIP suits, spa, bar and dining area on board. There is even a helicopter landing pad.